I just got back from dropping my I-Spy package off at the post office. I'm excited to get my new squares back. Becca has SUCH a fun time helping me sort the squares into their sets that I just know she's going to love helping me sort the new squares when we get them back in a month or so. If you want to get in on the I-Spy swap, I believe there are still a few spots. It's being hosted by Hammer and Thread and you go here to sign up. Here's a better look at the squares I sent. It's a double swap, and I signed up for both. If you want to sign up, you just need to come up with 10 different fabrics. They're all so fun, it's hard to choose favorites, but I think my ultimate favorite are these butterflies. I also love the farm scene fabric. And this was a fabric that's been in my stash for ages. I think it must have been a remnant. 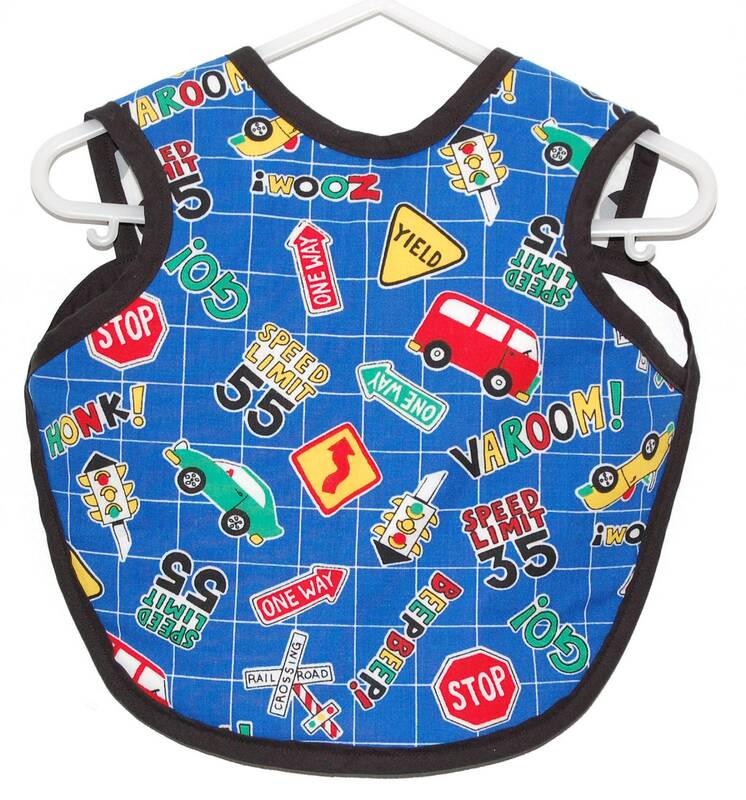 I'd been asking myself why I bought it because I always pass it over because I didn't like it...and then now that it's cut into cute little squares, I love it! I think that bold design in a half yard was just too much, but it's perfect in a small square. And I love these yellow lady bugs on the funky light. I ordered it here. I also love this crazy quilt pattern, which I think is I-Spy on it's own...and then the little I-Spy pictures on it too. And then I realized I didn't take close-ups of some of my other favorites...like the butterflies, dragonflies, and lily pads in a wetland scene, or the birds and apples in a tree. 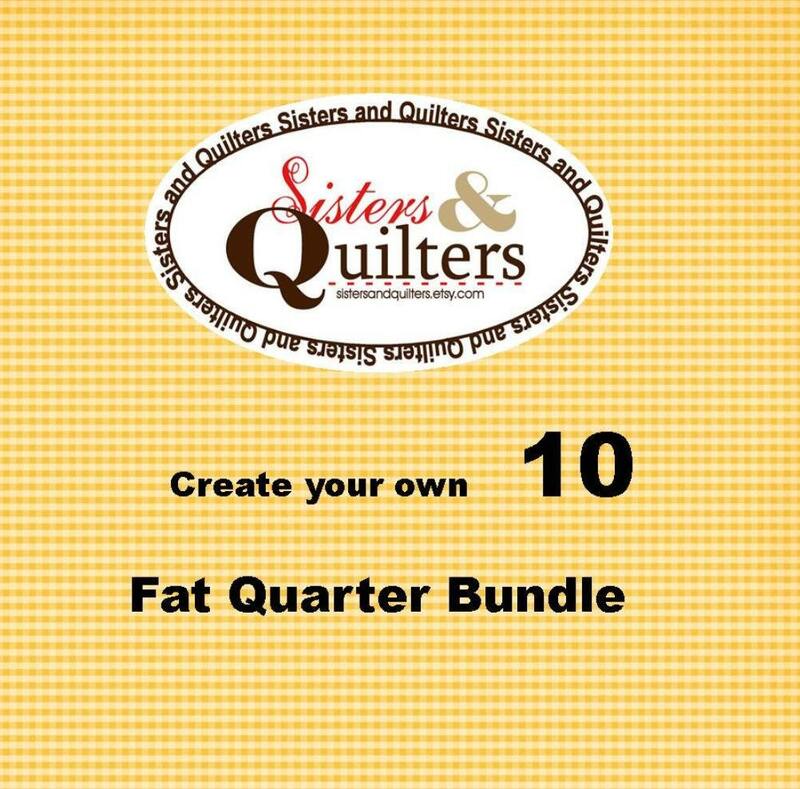 They have excellent customer service and you can mix and match their fat quarters into your own bundle, so you only get the fabrics you want. 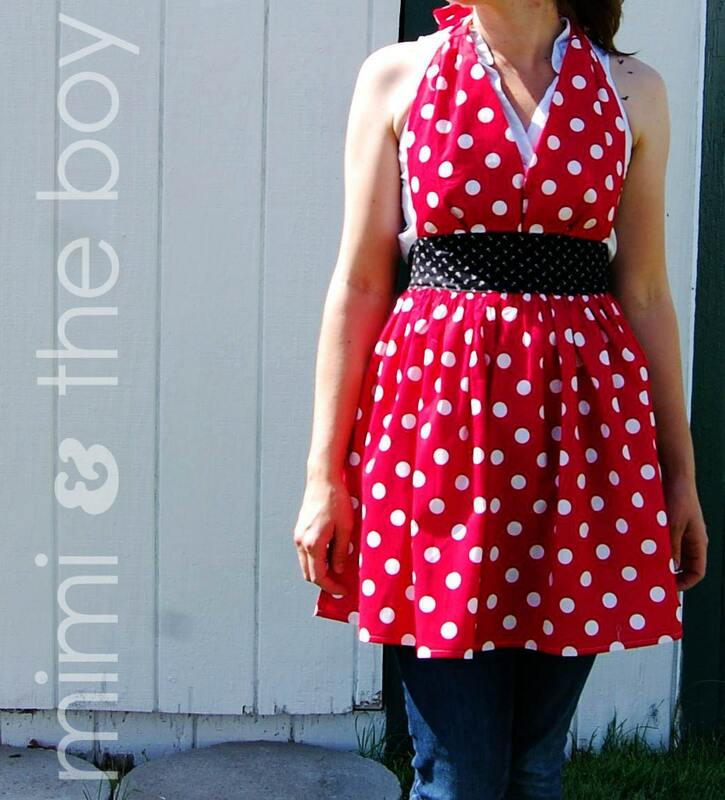 And if you're a lover of I-Spy Fabrics...you'll love the fabrics Mimi and the Boy includes in her shop. 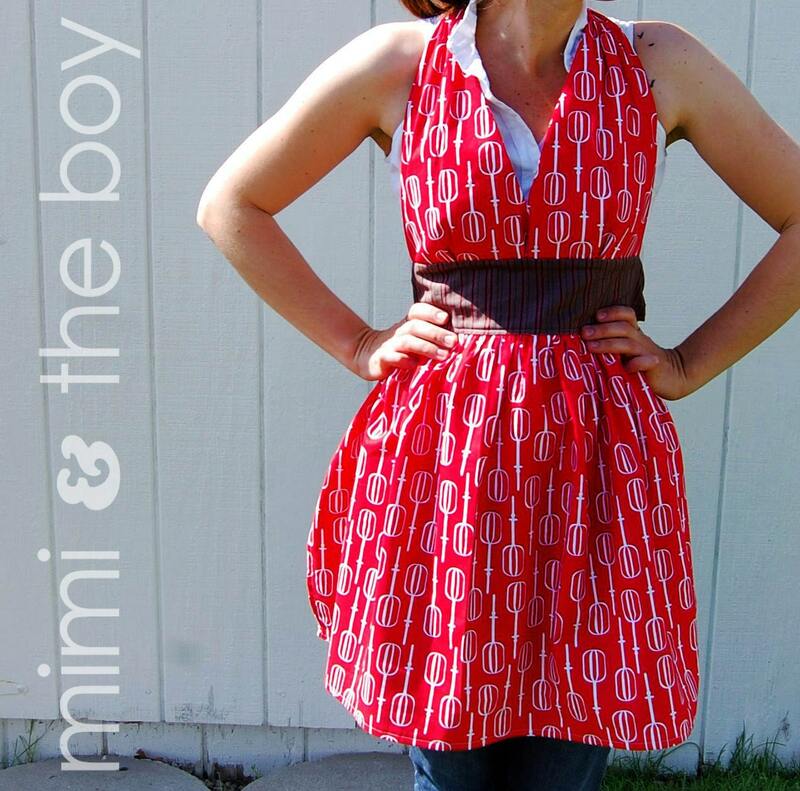 Be sure to go here or click on the picture below to enter the Giveaway from Mimi and the Boy for a Bombshell Apron + $15 Gift Certificate.